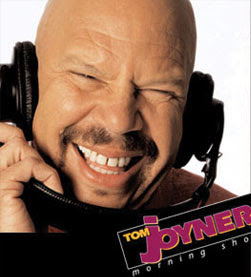 Urban AC Kiss 104.1 (WALR-FM), the Atlanta based Cox Communications owned station signs a contract extension with syndicated host Tom Joyner to keep him in mornings through 2011. Note: In a town like Atlanta, where Frank Ski is number 1 over at V-103 and Steve Harvey is on the other urban AC Majic 107.5; what other options do urban AC radio programmers have but to continue to go with syndicated shows. Once Tom Joyner and Steve Harvey step away from the microphone will there be any on-air talent ready to take their place nationally. Probably not, but hopefully local talent will be ready.